1.) 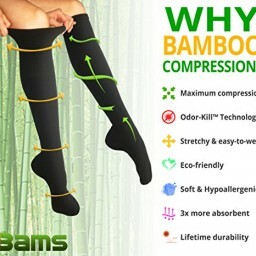 PERFORMANCE: Enjoy TRUE, medical-grade compression with the softest socks you will ever wear! 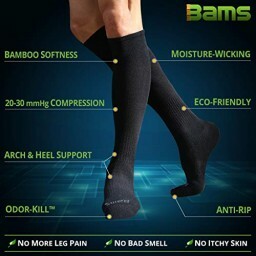 Clinically proven to reduce swelling, MAXIMIZE blood flow and speed recovery time! 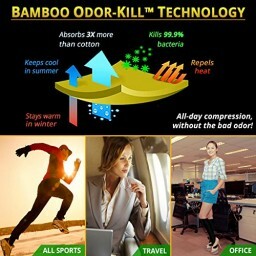 3) NEW BAMBOO ODOR-KILL TECHNOLOGY: Finally, odorless feet all day long! 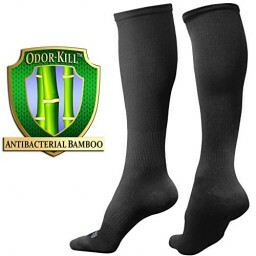 Our EXCLUSIVE Anti-Odor fibers instantly STOPS bacteria/fungi for a 99.9% microbe reduction to your legs and feet!